The latest Marvel movie, Ant-Man and the Wasp, releases in the United States and other countries this week. 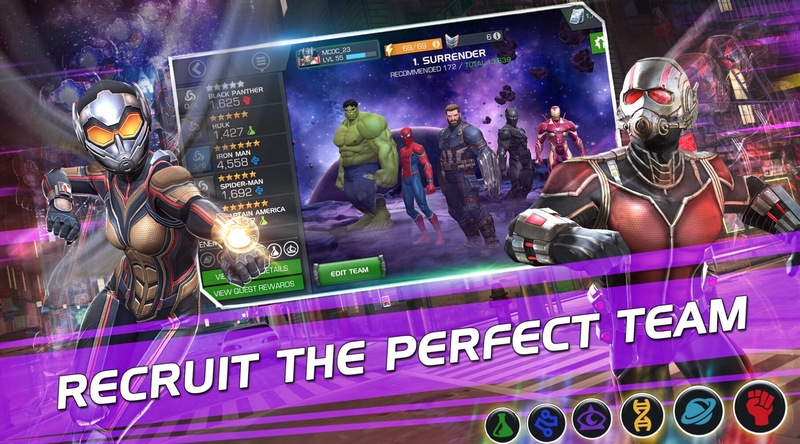 The movie is reviewing well, as most Marvel flicks tend to, and the approximate seven million Marvel iOS apps all have something going on to try to capitalize on its success. So hey, why not take a look at the events from some of the more popular Marvel games and see what they’re going to bring to the tiny, ant-sized table? 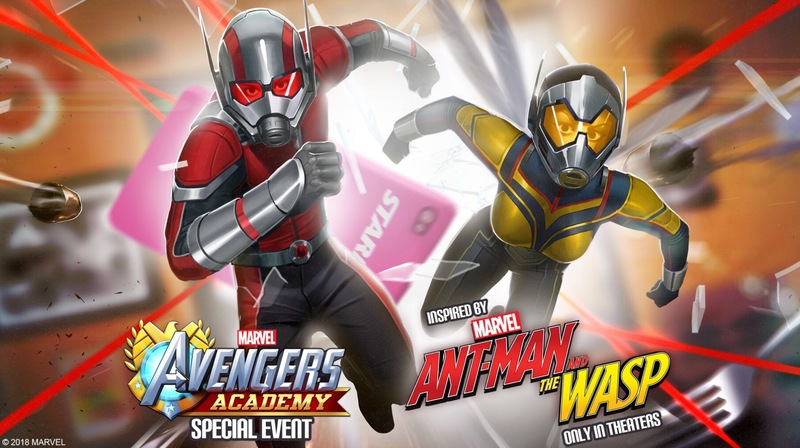 MARVEL Avengers Academy, Free Avengers Academy is mostly about collecting new characters and costumes, and the Ant-Man and the Wasp event will be bringing a bit of both when it hits in the next day or two. Both Scott Lang and Hank Pym have been on the campus for a while now, and Janet Van Dyne is basically the star of the game. Nevertheless, players can look forward to recruiting Hope Van Dyne, Goliath, Ghost, and probably a few returning characters. Costumes are unknown so far but we’ll probably see the Giant-Man suit from the Civil War event back along with some suits from the new film. 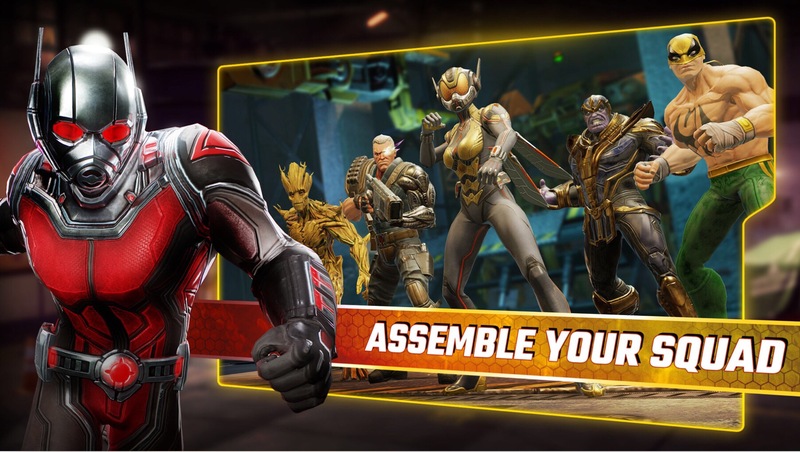 MARVEL Contest of Champions, Free Contest of Champions usually likes to hang on to a few secrets to keep the event spicy, but we know at least a few things already about its Ant-Man event. For example, Hope Van Dyne will be joining the playable roster in her Wasp suit from the film, and she looks to be packing quite a punch. Head into the new Micro Realms and take on the Ghost and others in the Return to the Micro Realm quest. We can probably look forward to more new Champions as the event goes on. MARVEL Strike Force, Free Being the latest kid on the Marvel iOS block, Marvel Strike Force has a lot of new ground to cover in this event. It’s getting things started by giving players a chance to recruit Ant-Man by collecting and opening Ant-Man orbs. Wasp will also be recruitable later in the event through similar means. This event will also see the level cap increase to level 65, so you’d best get grinding. MARVEL Future Fight, Free Future Fight knows how to do fan-service right, even if it is a tough climb for people who don’t want to shell out the big bucks. For this event, three new characters will make their debuts. Goliath, Ghost, and … Nadia Van Dyne? Very cool, even if a bit unexpected. There are also some new uniforms for Ant-Man, Wasp, Ghost, and Giant-Man (Ultron Pym). That is quite the mix of movie and comic content. MARVEL Puzzle Quest, Free Rounding out the list is Marvel Puzzle Quest, perhaps the best-loved of all of these apps. Or at least, the least-hated. U-Decide. Anyway, it’s probably not all that shocking by this point in the article, but you can look forward to some new characters including Ghost and The Wasp, along with special quests and rewards related to Ant-Man and the Wasp. Presumably that Wasp is Hope Van Dyne, but oddly enough this game is the only one to not specify which Wasp it’s pushing. It sure looks like Hope in the icon, though. All of these events, and not one of them includes Luis explaining things? Come on, developers, cut us a break over here! Anyway, Ant-Man and the Wasp hits theaters in most places this weekend, a few more places next week, some European countries a couple weeks after that thanks (apparently) to the World Cup, and finally in Japan after every other man, woman, and child on Earth has seen the movie, as per usual. Check it out, have a few laughs, then pick a Marvel app of your choice and go to town. Er, except for Spider-Man Unlimited. That wouldn’t even make sense.